Igor is constrained by a straitjacket. The asylum’s corridors are filled with tranquilizers-ready guards (and other obstacles). In addition to the dangers haunting outside, Igor is going through a war inside his head: his psychotic imaginary friend, Flead, is constantly demanding him to cancel his stupid escaping attempt. Thank you for your interest. Cheers! We highly recommend joining STATUS: DISCORD, the official Discord community for STATUS Universe games. Plenty of Steam curators have recommended STATUS: INSANE, yet none of them have unrecommended it. Which is a great success! Just like all other dogs, Genetically Modified Super Mutant Demon Cerbedos™ Dog is excited about Lunar New Year. 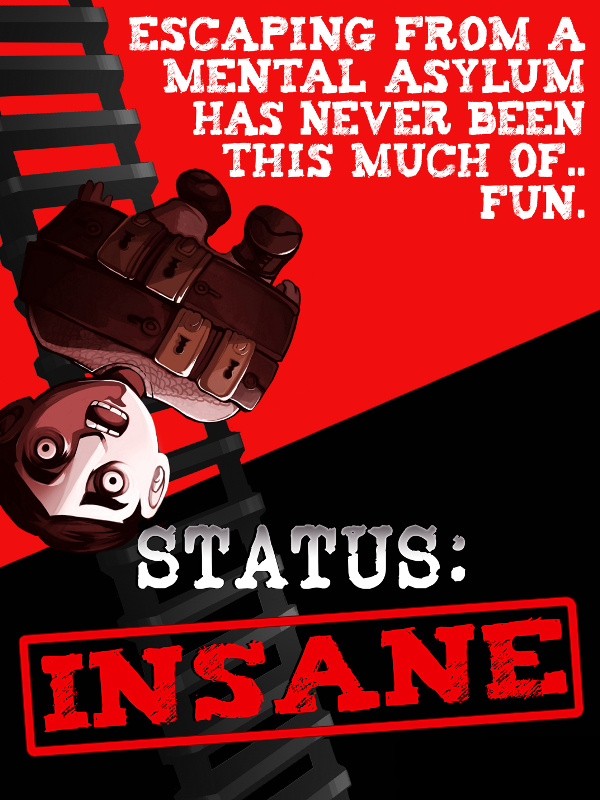 STATUS: INSANE is STATUS: READY and STATUS: RELEASED!